I've still had some unfinished Nightmare Legion minis hanging around. 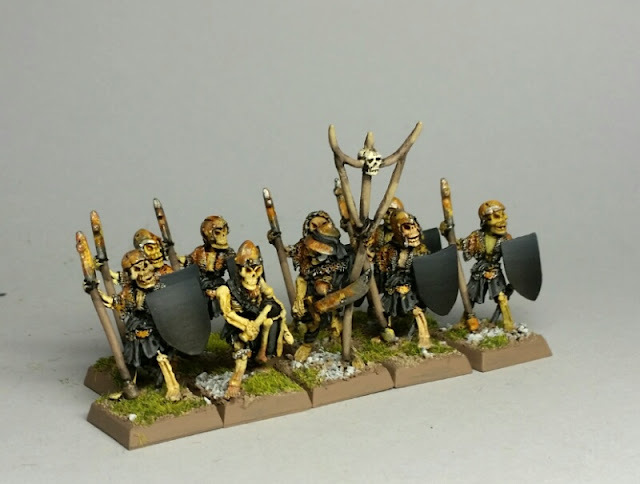 I'm leaning towards playing Undead for KoW in Nov., so thought I would (very!) quickly fiish painting them. I will have to pull out the rest, but I'm hoping I can field a horde. If not, I would like to pick up a few more. For the moment, though, I will just infill up to 40 strong with other skeletons.